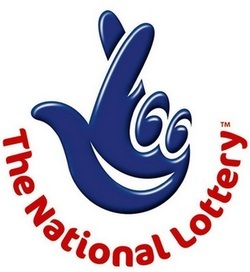 The National Lottery. I'm not going to beat around the bush here, The National Lottery is a tax on hope. The chances of winning a 'life changing' amount of money are so small as to make the playing of the game for that purpose crazy. In fact the only way to really ligitimise buying lottery tickets is by saying you're doing it to support good causes and it's almost like a charitable donation. And there in lies the realy problem with the lottery when compared to casino games, the percentage of ticket sales given to the prize pool is not a fair reflection of the risk to their investment the player is making. They legitimise this Return to Player (RTP) with the size of the overall jackpot, but if you stop and think about it, there are much better ways of spending £5 or £10 a week than the lottery. The price of a lotter tickey is now £2. That's not an insgnificant amount of money, so what do you get for your £2? You get to dream. Dream of your life when you win the jackpot. Unfortunately there are few problems with that. The odds of picking the 6 numbers needed to win the jackpot are 13,983,815 to 1. And if you don't win the jackpot, you have essentially zero chance of being in profit over a lifetime of lottery ticket purchases. The ticket price is divided up such that only 45% goes to the prize fund, the rest is divided between the 'good causes', seller commission, government lottery duty and the cost of organising the lottery itself. 45% RTP is pitifully low, and in fact in reality the average player will receive considerably less than that amount as the final figure is skewed by the jackpots that are won by a small number of people. An experiment run with 10,000 random sets of numbers each week for 3 years found that, had the tickets been bought, the rate of return would have been less than 30%. A casino would be shut down for offering such a low return. The government, and many other groups, are up in arms about the 'crack cocaine of the highstreet' that is fixed odds betting terminals, but those same people don't blink at lottery tickets being sold to 16 year olds with far less chance of seeing a return. A fixed odds betting terminal would normally offer blackjack and roulette, games which have an RTP of around 98%. Sure some people will lose, and the house maintains it's edge, but that rate of return to player is far better than that given by the National Lottery and those machines can only be used by people over the age of 18. Playing the lottery is essentially a tax. The government want you to play, because every year it pays around £1,750 million to good causes (money the government wouldn't be able to raise elsewhere) and an additional £800 million in lottery duty directly into the chancellors coffers. The government will tell you they're going to ban fixed odds betting terminals because they don't want the profits of the nation's gambling to go to private companies, but into their own pockets. You play the lottery to win, but you're not going to. Even if you get a small win you might find yourself in the position that thousands of winners did at the begining of August when the prize for 3 numbers (which is a guaranteed £25) was greater than the prize people claimed for getting 4 numbers correct. Now I am not in the business of encouraging people to gamble. But there are ways of beating online casino bonuses that I think you'll find far more exciting and profitable than playing the lottery. Each casino offers you a bonus which means you get more than you put in from the start. That bonus needs to be wagered before being withdrawn, but as you'll be playing games with a 90%+ RTP, you will actually have a chance of winning............unlike the lottery. BetFair Casino have some one of the best (and most beatable) casino bonuses. Start off with up to £300 bonus, and then they just keep coming after that. There's also a loyalty scheme based on your turn over, but that's not going to get you much if you stick to the bonuses anyway. They also offer some strong overlaps between echange and casino betting meaning you can get extra bonuses by being a player at both. 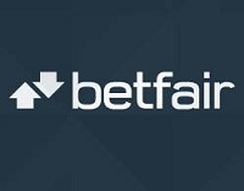 Get a BetFair casino account now if you haven't already. 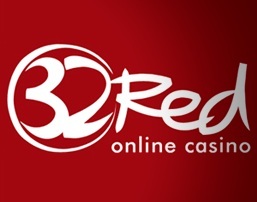 32 Red Casino get you started with a £32 no-deposit sign up offer, and follow it up with an excellent first deposit bonus, and the offers keep coming day after day. There's a good reason thay 32 Red win a lot of casino industry awards. Whilst you might not have some of the games other casinos do, notably the marvel slots, the secection they do have is extensive and has some crackers. 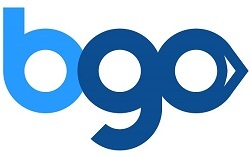 BGO are a fairly new comer to the casino market, and have come out all guns blazing on their offers. Massive quantities of free spins and generous deposit matches. You'll have to put up with Vernon Troy, but other than that, it's all good. Intercasino are major players in the independent online casino market (meaning they're not linked to a sports book like Paddy Power or William HIll are). They know what they're doing, and what the customer wants, which is a lot of bonuses and chances to win, so you get a great experience. There are also casinos attached to all the major sports books, all of which will give you generous (and beatable) bonuses to try and convert you from low edge (or high RTP) sports betting, to high edge casino games. In the same way as bookmaker sign up bonuses can be beaten, so can the casino. For a list of extra casinos, check out the bookmakers page, and then when that's exhausted, there's a list of around 50 on The Gambling Times. Oh, and if you're really loving the lottery still, just try a bingo site instead. All the excitement of the draw, and a much higher return to the players in the game. Glossy Bingo is pretty standard by bingo site standards, but that doesn't mean it won't give you everything you need from regular free events, to casino bonuses and deposit bonuses.